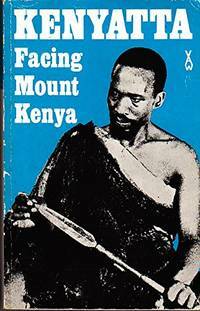 From A Long Way Gone to The Kon-Tiki Expedition, from	In Darkest Africa to South Africa, we can help you find the africa books you are looking for. As the world's largest independent marketplace for new, used and rare books, you always get the best in service and value when you buy from Biblio.com, and all of your purchases are backed by our return guarantee. 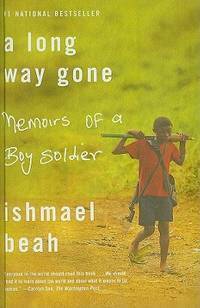 A Long Way Gone: Memoirs of a Boy Soldier is a book written by Ishmael Beah in 2007 about his experiences as a boy soldier. In the 1880s, as the European powers were carving up Africa, King Leopold II of Belgium seized for himself the vast and mostly unexplored territory surrounding the Congo River. Carrying out a genocidal plundering of the Congo, he looted its rubber, brutalized its people, and ultimately slashed its population by ten million--all the while shrewdly cultivating his reputation as a great humanitarian. Heroic efforts to expose these crimes eventually led to the first great human rights movement of the twentieth century, in which everyone from Mark Twain to the Archbishop of Canterbury participated. King Leopold's Ghost is the haunting account of a megalomaniac of monstrous proportions, a man as cunning, charming, and cruel as any of the great Shakespearean villains. It is also the deeply moving portrait of those who fought Leopold: a brave handful of missionaries, travelers, and young idealists who went to Africa for work or adventure and unexpectedly found themselves witnesses to a holocaust. Adam Hochschild brings this largely untold story alive with the wit and skill of a Barbara Tuchman. Like her, he knows that history often provides a far richer cast of characters than any novelist could invent. Chief among them is Edmund Morel, a young British shipping agent who went on to lead the international crusade against Leopold. Another hero of this tale, the Irish patriot Roger Casement, ended his life on a London gallows. Two courageous black Americans, George Washington Williams and William Sheppard, risked much to bring evidence of the Congo atrocities to the outside world. Sailing into the middle of the story was a young Congo River steamboat officer named Joseph Conrad. And looming above them all, the duplicitous billionaire King Leopold II. With great power and compassion, King Leopold's Ghost will brand the tragedy of the Congo--too long forgotten--onto the conscience of the West. Alexandra Fuller was born in England in 1969. In 1972 she moved with her family to a farm in Rhodesia. After that country’s civil war in 1981, the Fullers moved first to Malawi, then to Zambia. Fuller received a B.A. from Acadia University in Nova Scotia, Canada. In 1994, she moved to Wyoming, where she still lives. She has two children. From the Hardcover edition. Theodore Roosevelt declined to run for reelection as President of the United States in 1908. Partly as a vacation, partly to avoid the press as his friend Taft set up a new administration, (and partly for self-promotion), T.R. set out for Africa to hunt big game and collect specimens for a future exposition at the Smithsonian. Scribner's magazine underwrote the trip by paying $50,000 for twelve articles. 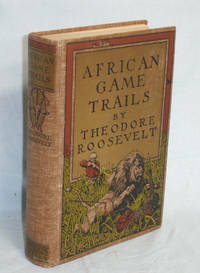 It is these articles that eventually became African Game Trails.In April 1909, T.R. and his son Kermit arrived in Mombasa. With an entourage of 250 porters and guides, the Roosevelts spent a year snaking across British East Africa, into the Belgian Congo and back to the Nile, ending in Khartoum. This narrative is a straightforward chronicle of the trip, laced with tips on tracking and hunting African big game, and observations and opinions about Africa and its peoples, many of which are politically incorrect by today's standards. T.R. believed in the inferiority of most African peoples and recommended they be civilized by European rule.For the most part, however, African Game Trails is a book about big game hunting. Over the course of the year, the Roosevelts collected (i.e. shot) 1,100 specimens, including eleven elephants, twenty rhinoceroses, seventeen lions, twenty zebra, seven hippopotamuses, seven giraffes, and six buffalo. This was a different era, to be sure. In a way that makes the account all the more valuable. African Games Trails is well-written and rolls along easily, like a good, long, after-dinner story. It is also a striking record of early 20th-century African culture and natural history. It is great fun and highly recommended for the non-squeamish. The war declared by the Boers of South Africa on October 11, 1899, gave the British, as Kipling said, 'No end of a lesson.' The public expected it to be over by Christmas. It proved to be the longest, the costliest, the bloodiest and most humiliating war that Great Britain fought between 1815 and 1914. Bill Bryson’s bestselling travel books include Notes from a Small Island , Notes from a Big Country , A Walk in the Woods , and Down Under . Born in Des Moines, Iowa, Bill Bryson lived in England for nearly two decades. He now lives in Hanover, New Hampshire, with his wife and four children. When Alexandra ("Bo") Fuller was home in Zambia a few years ago, visiting her parents for Christmas, she asked her father about a nearby banana farmer who was known for being a "tough bugger." 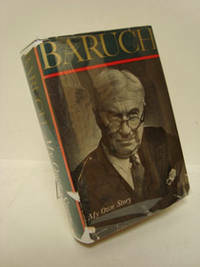 Her father's response was a warning to steer clear of him; he told Bo: "Curiosity scribbled the cat." Nonetheless, Fuller began her strange friendship with the man she calls K, a white African and veteran of the Rhodesian war. With the same fiercely beautiful prose that won her acclaim for Don't Let's Go to the Dogs Tonight , Fuller here recounts her friendship with K. K is, seemingly, a man of contradictions: tattooed, battle scarred, and weathered by farm work, he is a lion of a man, feral and bulletproof. Yet he is also a born-again Christian, given to weeping when he recollects his failed romantic life, and more than anything else welling up inside with memories of battle. For his war, like all wars, was a brutal one, marked by racial strife, jungle battles, unimaginable tortures, and the murdering of innocent civilians—and K, like all the veterans of the war, has blood on his hands. Driven by K's memories, Fuller and K decide to enter the heart of darkness in the most literal way—by traveling from Zambia through Zimbabwe (formerly Rhodesia) and Mozambique to visit the scenes of the war and to meet other veterans. It is a strange journey into the past, one marked at once by somber reflections and odd humor and featuring characters such as Mapenga, a fellow veteran who lives with his pet lion on a little island in the middle of a lake and is known to cope with his personal demons by refusing to speak for days on end. What results from Fuller's journey is a remarkably unbiased and unsentimental glimpse of men who have killed, mutilated, tortured, and scrambled to survive during wartime and who now must attempt to live with their past and live past their sins. In these men, too, we get a glimpse of life in Africa, a land that besets its creatures with pests, plagues, and natural disasters, making the people there at once more hardened and more vulnerable than elsewhere. Scribbling the Cat is an engrossing and haunting look at war, Africa, and the lines of sanity. 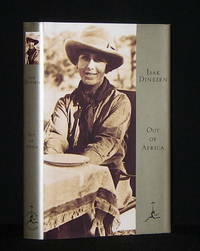 In Darkest Africa (1890) is Henry M. Stanley’s own account of his last adventure on the African continent. At the turn of that century, the interior of the African continent was largely unknown to the American and European public. 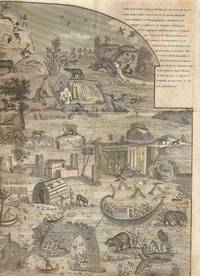 With the accounts of great explorers like Stanley, readers became thrilled by stories African expeditions and longed to follow in the footsteps of these explorers. In 1888, Stanley led an expedition to come to the aid of Mehmed Emin Pasha. The two volumes that compose In Darkest Africa; or, The Quest, Rescue, and Retreat of Emin, Governor of Equatoria are his account of what happened. "In late 1979, the writer and naturalist Peter Matthiessen and the wildlife photographer Hugo van Lawick joined a safari into the Selous Game Reserve in southern Tanzania, one of the largest yet least known strongholds of wild animals left on earth. 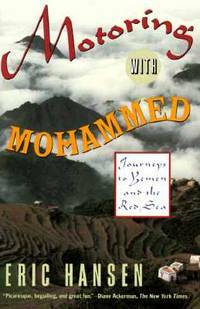 Sand Rivers is their beautiful account of a remarkable trip into this quintessential East African wilderness."